Sometimes the fight to end abortion seems overwhelming, but as we end 2014 and prepare for a new year of the continued fight for life, some of our best encouragement in the battle may come from two vocal pro-abortion leaders. On a regular basis, my inbox is filled with e-mails from the president of Planned Parenthood, Cecile Richards, and the leader of the Religious Coalition for Reproductive Choice, Rev. Harry Knox. Both the secular and religious sides of the pro-abortion fight have deemed 2014 a bad year for abortion – and they’re already worried about 2015. They won’t tell you how worried they are, of course. Any concerned words they use are used to twist their fears into fundraising pleas, which fill every e-mail they pen. But between the lines it’s clear: they are quaking in their clichéd boots. Time and time again, anti-women’s health politicians have made one thing quite clear: No matter what they say out on the campaign trail, when they win elections, they go after women’s access to basic, preventive care. Knox, allegedly a minister of the gospel, repeatedly refers to Christian pro-lifers as some sort of diseased species rather than people of a true faith that upholds a gospel that never supports the elective death of the unborn. He echoes Planned Parenthood so distinctly that it seems as if Planned Parenthood has a religious division that Knox heads. There is, perhaps, no place where the Christian Right is stronger than in the South[.] … In some ways, the South is where the need for change is the greatest. There can also be no doubt that religion – Christianity in particular – plays a huge role in southern politics. So, the South is also where you and I, as people of faith, can have the greatest impact. Next year, we’re in for the fight of our lives. New leadership in Congress and out-of-touch lawmakers in state after state are going to target women’s access to birth control, abortion, and basic health care relentlessly. (Richards Dec. 27 e-mail). Be encouraged, pro-lifers: the abortion-minded leaders are more scared than their words convey. It’s been a bad year for them. 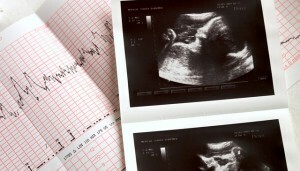 More abortion clinics are closing; more pro-life legislation is passing. In short, the pro-life movement is moving forward. Of course, his version of “worse” is our version of what is best: life for the preborn. Let’s make it another bad year for the abortion industry.